X-Small - $19.99 Small - $19.99 Medium - $34.99 Only 4 left! Hatchimals seems to appeal to children because they are capable of busting out of their own packaging. You see, in order to start playing with a Hatchimal, the owner needs to nurture it, care for the egg, and keep it protected in order for the interactive creature to spring to life. Only a great caregiver can make the egg hatch. If the Hatchimal can sense your affection, then the owner will notice a heartbeat, glowing eyes, and meek sounds coming from the egg. Once this happens, prepare for the Hatchimal to burst out. Of course, speeding up the process is always an option. We watched one little boy crack the egg open with a hammer for faster access to his toy and we have to admit, that looked like a lot of fun. 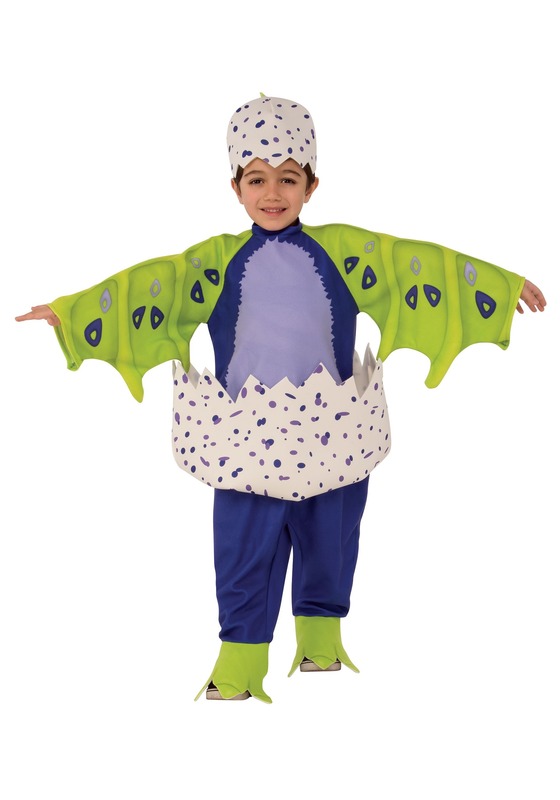 If your child is obsessed with all things Hatchimal and can't wait to get their hands on an egg, then they'll also love this officially licensed Draggles costume for toddlers. The soft jumpsuit even encases your little one in a speckled egg. It's perfect for little ones to wear while they are waiting for their Hatchimal to burst out or if they decide to take the hammer route as well!